This entry was posted on Sunday, February 5th, 2012 at 1:33 PM and is filed under 2011 Fantasy Football, 2011 New York Giants, 2011 NFL Playoffs, 2011 NFL Regular Season, A Journey for 9/11, Big Blue, Bill Parcells, Chris Mara, East Rutherford, Eli Manning, Ernie Accorsi, G-Men, George Martin, Giants, Giants Coaches, Giants Front Office, Giants History, Giants Roster, Giants Stadium, Giants Super Bowl History, Jerry Reese, John Mara, Jonathan Tisch, Justin Tuck, Kevin Gilbride, MetLife Stadium, New Jersey, New Meadowlands Stadium, New York, New York Football Giants, New York Giants, NFC East, NFL, NFL New York Giants, NFL Playoffs, NFL Pro Bowl, NFL Schedule, NFL Super Bowl, Nilay Shah, NY Giants, NYG, NYG Blog, NYG Exclusive, NYG Fantasy Football, NYG Playoffs, NYG Regular Season, NYG Reporter, NYG Road Warriors, NYG Schedule, NYG Story, NYG Super Bowl, NYG Website, nygreporter, Pat Hanlon, Perry Fewell, Roger Goodell, Steve Tisch, Sunday Night Football, Super Bowl XLVI, Timex Performance Center, Tom Coughlin, Tom Quinn, University of Albany, Wellington Mara. You can follow any responses to this entry through the RSS 2.0 feed. You can leave a response, or trackback from your own site. WE DID IT! GIANTS WIN THE SUPER BOWL 21-17! Me and the wife are stuffing our faces watching movies until the kickoff.cant take the wait no more,or the sports media shows,its overkill at its highest.the time is now to play the game big blue fans have been waiting two weeks for this.we are all in and ready for a new york football giants victory,NYGIANTS 37-PATS 14.no doubt about it.you know we will be up all night rob.big blue wrecking crew will wreck the pats tonight. Rob,they did it.what a year buddy.thank you rob domaine for your website.im a follower of yours as long as you will have me.big blue forever.what a special season thank GOD.i will never forget our conversations from before the season started until now.you know your stiff and you know our new york football giants. WE DID IT BUDDY! CHAMPIONS!! i meant stuff not stiff.this is a family website lol. Hey Bobby – I did the same about the movies too. I could not watch another minute of pre-game talk either! It was a great night, great game, and another SB classic. Interesting that since 2004, that belichik is 7-6 in the playoffs after the whole spy gate thing happened. He is a great coach, and I loved him as a Giant, but I was so happy to see Tom beat Bill for the 2nd time in a row! With the age of this team, we can really be the team to beat for years to come. It looks like you guys have found your pre-game rituals if they G-men make it back to the Super Bowl and they probably will soon! Hey AJ,your right.i believe this nygiants team is set.we will keep the movie ritual, it seems to work on top of prayers to GOD for 7 weeks straight .great to see tom and eli in that hall of fame conversation.awesome,just awesome. 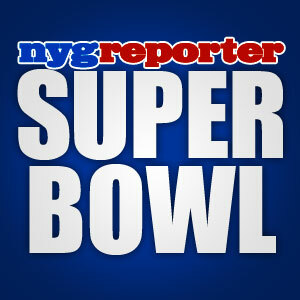 Hey Guys, now that we know the Giants have won Super Bowl XLVI. Do you guys agree with the talk about COughlin and Manning going into the Hall of Fame? I certainly do and I think Eli has just moved up the last step to be shoulder and shoulder with Derek Jeter in New York. I’m a Yankees fan too as you know, so I really mean it when I say that. I also think Manning is the best QB in Giants history now and Coughlin is flirting with being the greatest coach of all-time for Big Blue. He isn’t done yet so let’s wait until he decides to leave the game to evaluate his career, right now he is already in the discussion.